The first few days, I loved this app! Actually, I still do like it very much and use it daily. But, the search function seems like it is not working well at all. If I search for steak, my top 12 search results should not be recipes for cauliflower and dessert. But the biggest problem I have with the app is all of the garbage ads that are displayed. These ads are nothing related to my browsing or searching history, so they aren’t personalized. 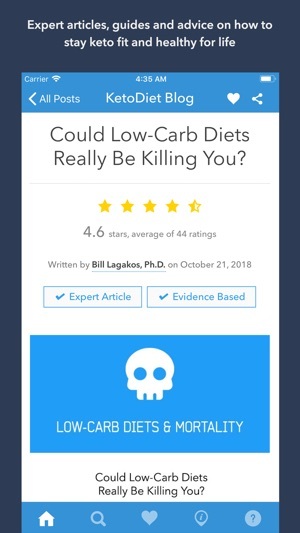 They are trash that I should not have to be exposed to, on a food and recipe app! There is no way to report them, as far as I can tell. Developers, please fix this problem! I already have all safe search options enabled, and have for years. Thanks!! What do we want? Keto recipes! When do we want them? As soon as possible! 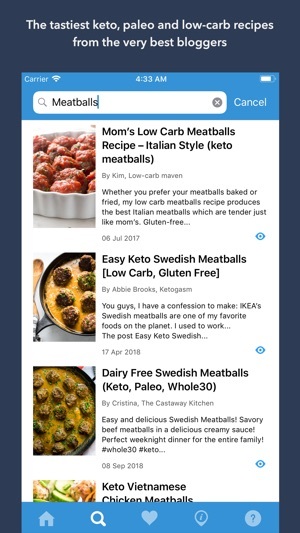 This app delivers just that - high-quality keto recipes from trusted bloggers and cooks without any catch. It’s simple, clean and straight to the point. 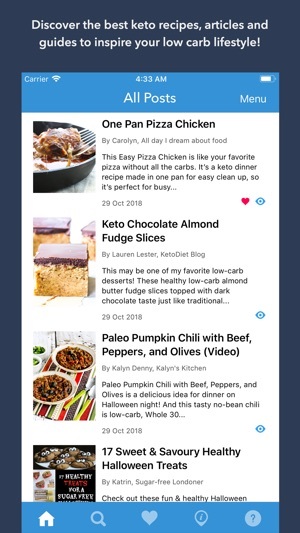 You can see all new recipes in a feed, save your favorites, search for something new and be assured that every recipe is actually keto-friendly and not click-bait! So excited for this app. It’s going to save so much meal planning time. 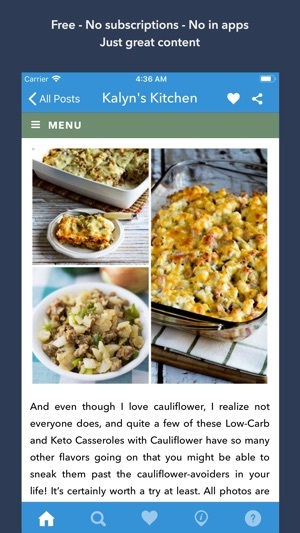 I love that the recipes and information I’m looking for is all in one place! Some of my favorite bloggers will recipes that I go back to again and again are in here, as well as some that I haven’t tried yet. Would love a way to organize my favorites. Only other thing is I have noticed that several of the hyperlinks don’t work. Great start! Thank You! !